foxconn’s workforce is counted in the millions, but in the future, it may be significantly less. 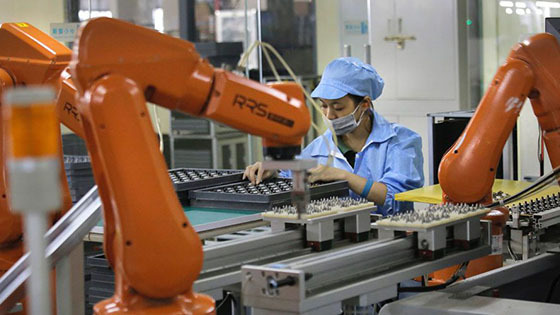 Since several years the company keeps on introducing robots in the production of, among other things, the Iphone, and the company wants to continue the development. later Today, Foxconn to test the fully automated production lines in several factories in China, even if the tour has not so far come to the Iphone factory in Zhengzhou. It is a line that manufactures all-in-one computers to another company, writes Digitimes. the Vision for the future is factories where people just put their foot for roles other than production, inspection, logistics and testing. A buzz surrounding Apple in recent months has been the opportunity to spend part of the Iphone production in the united states, and it has been reported that Foxconn is investigating the possibilities. It would be a strong impetus to the rapid development, in order to avoid as much as possible of the higher personnel costs.